We all have different kinds of fears in our lives; fear of heights, fear of being alone, fear of being in a small place, fear of insects, and more. Some of these fears prompted from our past experiences while others just simply came out of nowhere and we just woke up feeling terrified with a specific thing, place or scene. Just like normal people, celebrities have also their own fair share of fears, and for some reason, most of them are afraid of this tiny little creature that could be seen roaming around our houses, the streets, and even mall, they’re just everywhere, cockroaches. There’s something about these tiny crawlers that both men and women are totally afraid of, especially when they already unleash their superpowers… flying. But this is the exact opposite with the ever stunning and gorgeous Liza Soberano, who would have thought that this fine young lady with a face that could launch a thousand ship does not really give AF with tiny insect crawlers? 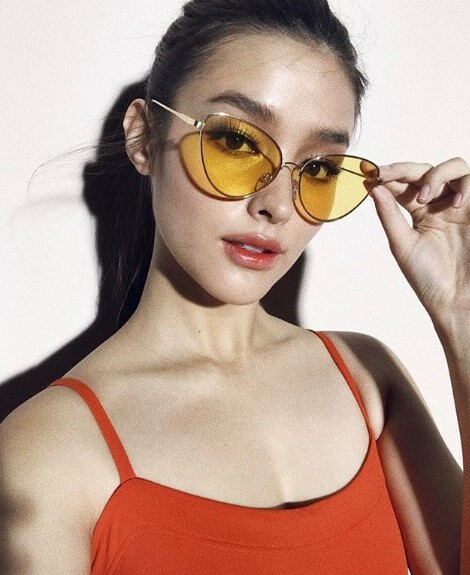 Recently, Liza is once again making noise on social media after a video of her doing the “What’s In The Box?” challenger went viral and leave netizens amazed with her “no arte” attitude. The 43-seconder video is part of Liza’s watch endorsement wherein she will have to guess what’s inside the box in front of her without peeking inside the box and only using her hands and sense of touch to identify the item. Other celebrities and YouTube content creators also took this challenge which resulted into a hilarious outcome since they have this fear of touching something which does not really please them, like insects or live animals. During the first part of the video, Liza could be seen caressing three small-sized brown fruit which she initially guessed as potato and sweet potato, but after getting a full grasp of the brown fruit, she realized that it was just a kiwi. Pretty simple, huh? For the next item, a small container was placed inside the box and the minute Liza tried grasping the item, a tiny insect immediately crawled on her hands. She initially thought it was a crab but the small creature fall out of her hands. She said it in the most relaxed manner as if touching a cockroach is just normal for this pretty lady. In the end, she realized that the second item is a cricket and still did not show any sign of fear or fussiness. This attitude exhibited by Liza earned lots of praises from netizens joking that if such a gorgeous lady is not fussy about touching insects, then we do not have the right to act fussy as well.